It’s completely normal and healthy to feel melancholy at times, but if you are experiencing prolonged periods of sadness or a lack of interest in activities you usually enjoy, you may be one of the 350 million people globally affected by depression. While this is a complex condition that has only fairly recently begun to be diagnosed and acknowledged as a serious illness, medical science already has some understanding of the underlying causes that could be affecting those with depression. But there is still much we don’t understand about how or why it emerges and what can be done to treat it. One of the most recent and exciting developments in the field has been the research conducted on treating depression with cannabis. So far, the results look promising, and cannabis could very well be the treatment of the future for those affected by depression. Despite the social stigma that exists around it, depression is actually a common medical condition. It can cause long periods of intense disinterest, withdrawnness, and excessive tiredness, and can interfere with everyday activities, relationships, work, hobbies, and even physical health. Depression is more serious that just a low mood; if you find yourself feeling down for two weeks or more without relief, or find that feelings of sadness or disinterest are seriously interfering with your quality of life, you may be affected by depression and should seek medical advice. Medical professionals can help establish whether you have, or are at risk of, depression, what kind it could be, and what you can do to treat it. Also sometimes called major depressive disorder, unipolar depression, or clinical depression, major depression can manifest in a wide range of symptoms and can be difficult to diagnose. Some symptoms include thoughts of worthlessness, withdrawing from family and friends, lacking motivation, alcohol or sedative reliance, lack of ability to concentrate, irritability or guilt without apparent cause, and general sadness, among many others. This type of depression affects up to 26% of women and 12% of men in the United States and can severely impact a person’s quality of life. Otherwise known as chronic depression, dysthymia is not as severe as major depression and often has fewer symptoms, making it more difficult to diagnose. It’s characterized by spells of less-intense depressive symptoms that can persist for two years or longer, often becoming more intense and turning into bouts of major depression before easing off again; this is sometimes referred to as double depression. Dysthymia can affect a sufferer’s physical health and result in rapid weight change, insomnia or excessive sleep, and even major fatigue or loss of motivation. Despite popular belief, bipolar disorder is still a type of depression. It can be diagnosed mainly by the strong changes in moods observed in patients, often without obvious cause. Episodes can involve a range of emotions but are usually either manic (during which a person can exhibit extreme feelings of elevation, agitation, euphoria, and activity) or depressive (during which a person can feel hopeless, sad, and find displeasure in things they usually enjoy). This type of depression can be difficult to understand, as it doesn’t fit with the commonly held belief that depression only causes sadness and that a person who displays happiness or elevation cannot be depressed. Do you often feel dispirited for prolonged periods around the same time every year? Believe it or not, you may not just have the winter blues; you may be experiencing seasonal affective disorder. Most people who experience this type of depression begin feeling symptoms in the fall that continue on through winter, resulting in detachment and a lack of energy or enthusiasm. For some people, these feelings can also start in the spring, but this is less common. If you find yourself relating to these symptoms, talk to someone and seek advice from a medical professional. Honestly, no one can say for sure what causes depression; it’s an incredibly complicated disease that affects the most complex part of a person’s body – the brain. We do, however, know that it can occur for a multitude of reasons relating to both physical and mental wellbeing. Depression can run in the family or occur seemingly unprovoked. You should never judge whether someone has depression on whether they have a reason to – depression is a silent and often severe illness that can lead to serious health issues, regardless of whether or not an underlying cause is visible. Exposure to any kind of abuse or harassment can lead to depression. This includes verbal, sexual, mental, physical, financial, and emotional abuse and even neglect. 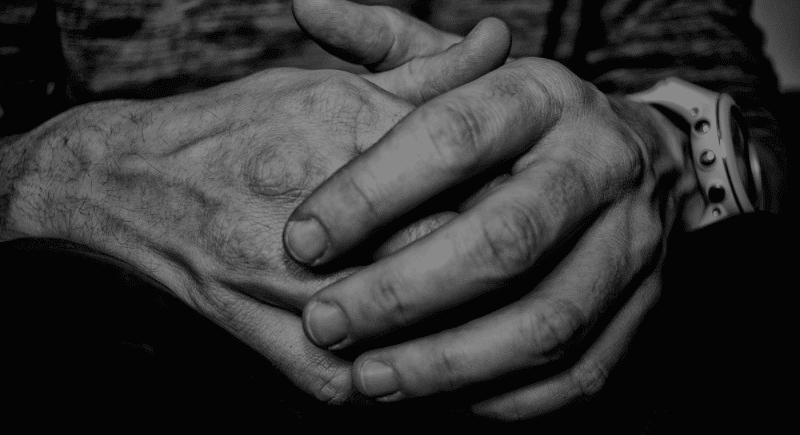 Keep in mind, a person doesn’t necessarily have to experience the abuse itself; even being a witness to it or having knowledge of its occurrence can cause severe mental distress and increase a person’s vulnerability to depression. Both external and internal conflict can cause depression. Having disputes with loved ones, being in a professional or public setting, or making a difficult decision can cause mental and emotional fatigue and stress, leading to an increased risk of developing depression. Experiencing some conflict in life is unavoidable, but if you find that dealing with a certain situation seriously affects your quality of life, it’s time to seek professional help. To add to the confusion regarding the causes of depression, it can also be passed on genetically. Statistically speaking, if your family has a history of depression or depressive episodes, your chances of developing depression are significantly higher than someone with no family history of depression. Remember, these are only statistics; if depression does run in your family, this doesn’t mean you will definitely have it. There are thousands of people with a history of family depression who never experience any symptoms of the disorder. Humans are social animals. It’s completely normal to have periods in which you might want space, peace, and quiet for a few hours or even a few days, but isolation from loved ones for prolonged periods of time can be detrimental to your mental health. Sometimes, the company itself can make a difference too. After all, some people can make us feel more alone than actually being alone does. Keeping a quality ensemble of people who make you feel included and worthwhile can be one of the best preventions against depression. Animals can also help with feelings of isolation, as most often it’s both giving and receiving love and affection that defeat feelings of isolation. Animals, especially pets, can be a part of the family and thus capable of both giving and receiving love and affection. Mourning for prolonged periods of time is perfectly normal after the loss of a loved one. Depression caused by loss is difficult to notice, as there is an obvious reason for the sadness you may be experiencing. To make sure you do not slide from typical grief into serious depression, you should take preventative steps, such as keeping a diary and having loved ones check in on you on a regular basis. There is no set amount of time for how long you should grieve your loss, but a link does exist between longer grieving periods and a higher chance of developing depression. We all go through different stages of life that can prove mentally challenging. Having children, getting married, making big investments such as a property purchase, going through a divorce, or retiring can all cause the mental and emotional stress that can lead to depression. It’s important to remember that even though feeling a little stress is normal, if you find yourself experiencing any of the symptoms of depression for prolonged periods of time, you may have reacted severely to these changes and be at risk of developing depression. Contracting a serious illness can greatly increase your chances of depression due to its multiple risk factors. Along with the usual stress-related risks associated with having a serious illness, various medications and treatments can adversely affect your mental health. You may also experience social isolation due to being confined to a hospital or bedrest, further increasing your vulnerability to developing depression. Living with a serious illness can also lead to thoughts of facing your mortality, which can be difficult to accept and process without professional medical advice. Whether it seems reasonable or not, if anything at all is causing you major psychological or emotional stress, you should speak about it to a medical professional. Prolonged or intense feelings of stress can be detrimental to mental health and, if left unresolved, can lead to depression and anxiety. Almost 30% of individuals with substance abuse issues suffer from clinical depression. Much like contracting a serious illness, substance abuse can expose you to many different risk factors, such as social isolation and chemical imbalances or disruptions, especially if the substance abuse itself is a result of a traumatic experience or excessive stress. Due to its complicated nature, there is no straightforward cure for depression. Treatment of depression can involve a combination of medication, exercise, verbal therapy, meditation, increased social involvement, dietary improvements, and other stress-reducing activities. Before medication is advised, it’s recommended to try a range of lifestyle changes and see if they improve the symptoms. Meditation can be a great first step to improving your daily routine, as it requires the least amount of effort and motivation. If you feel up to it, you can also try to include exercise in your daily regimen, as this will boost endorphins and can help with sleeping problems. A balanced diet every day can also go a long way toward helping you feel better – your body needs vitamins and minerals to keep it running healthily. Finally, try to sit out in the sun for awhile each day. Being exposed to sunshine can give you a dose of Vitamin D and help regulate your melatonin production, which in turn can improve your quality of sleep. Marijuana: A Promising Treatment Option or a Higher Risk for Depression? The research required to establish the long- and short-term effects of medical marijuana is still ongoing, but it appears to be a promising treatment option for sufferers of depression. Due to recent improvements in the de-stigmatization of medical marijuana, the evaluation of its impact on depression is still in the very early stages. Some researchers claim its miraculous effects on restoring a natural function to the endocannabinoid system, which regulates many important aspects of the human body, such as hormone and dopamine levels. Endocannabinoids are chemical compounds that are naturally produced by the human body. They play a role in many major functions, such as motor control, emotions, cognition, and behavior. Endocannabinoids are the reason cannabis has any effect on the human body – the existence of the endocannabinoid system makes this interaction possible. 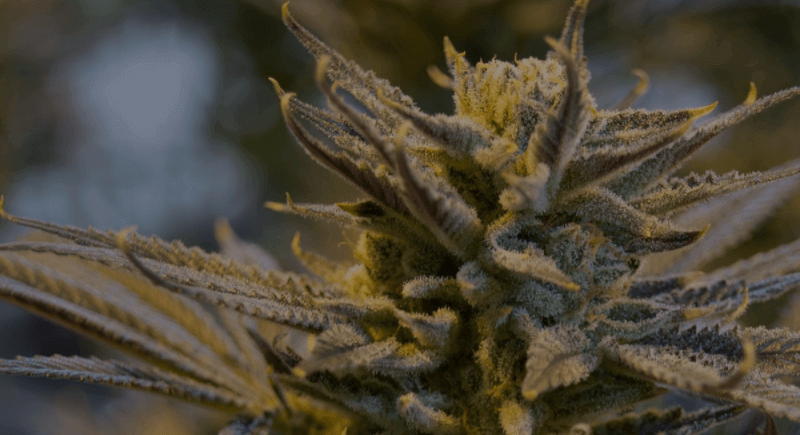 Over time, endocannabinoid levels may shift and become imbalanced; this is the problem cannabis may be able to fix, at least temporarily, according to early research. Another major cause of depression has been found to be the presence of chronic stress due to anxiety, pain, and sickness, among many other factors. Medical marijuana has been shown to reduce pain and relieve symptoms of anxiety, as well as reduce the effects of nausea and stomach upset, especially in relation to chemotherapy. Relieving symptoms like these can give the brain a much-needed break from chronic stress, allowing it to relax and begin the road to recovery. Recent research has found many indications that both occasional and regular cannabis use can have a positive impact on those who suffer from depression. A 2006 study by researchers at McGill University in Montreal found that low doses of THC can produce serotonin and act as an antidepressant. The same study also found that high doses of THC can worsen symptoms of depression, so it seems that moderation is key when it comes to THC dosing. Another study conducted at the University Medical Centre Utrecht in the Netherlands found that THC has the potential to alter the brain’s response to negative imagery or emotions by stimulating the endocannabinoid system in the brain. This alteration can potentially act as a powerful treatment for depression, psychosis, and other mental illnesses. This evidence is further supported by other studies, which also found a link between cannabis use and improved cognitive functions in sufferers of bipolar disorder. While adult cannabis use was not associated with the onset of bipolar disorder, anxiety, or depression, it was associated with an increased risk of developing a substance abuse disorder and dependence on alcohol, marijuana, and nicotine. It must be taken into account, however, that people with a history of anxiety and traumatic experiences are also much more likely to develop a substance addiction, and cannabis can help with the eradication of conditioned fear response, which in turn can lead to the reduction of substance abuse and dependence. Overall, research generally suggests that the cannabinoids found in marijuana can be effective for treating many symptoms of depression and anxiety, without increasing the likelihood of developing certain mental health conditions. It’s important to remember that correlation does not equal causation. While it is true that some research has found links between heavy marijuana use and higher risks for the development of depression, none of these studies have established cannabis use as the cause of the increased risk. It is plausible that individuals with a higher risk of depression to begin with are more likely to seek various forms of relief and become heavy users of cannabis. It’s difficult to establish any form of causal links between mental illness and marijuana use for a number of reasons, including dosage, length of use, other lifestyle factors, and social stigma. According to scientific literature, higher levels of depression are found among those who use marijuana than among the rest of the population, but no causal link has been established. This could be due to the fact that the effects of cannabis on the brain have not been studied for very long. It’s quite plausible that cannabis use may have antidepressant properties in the short term, but can cause a delay in receiving proper medical evaluation and treatment, leading to worsening of the condition. Another correlation link has been found between cannabis use and the onset of schizophrenia and other psychiatric disorders. This link only exists in users who are already at risk of developing these illnesses, though most users may not be aware that they are at risk. High doses of THC have also been linked to the development of brief psychotic episodes in users both with and without a pre-existing risk of mental disorders, though these usually dissipate once the effects of marijuana wear off. Although the use of marijuana to treat mental illnesses like depression looks promising, it’s too early to establish any form of conclusive evidence. The potential side effects of cannabis use depend on dosage and individual circumstances, and there are no guaranteed outcomes. The relationship between marijuana use and mental illnesses like depression is complex, and some research indicates that heavy use of marijuana can actually put users at a higher risk for depression, although no causal links have been found. If you think you or someone you know may be experiencing symptoms of depression, you should not delay in contacting a medical professional. Did this article help answer your questions? Let us know how we did. No one knows yet. The relationship between marijuana and depression is complex and requires further study before a conclusion can be drawn. Currently, the research looks promising and is in favor of marijuana’s ability to treat symptoms of depression, but you should always seek professional medical advice when it comes to treating any mental health issue. 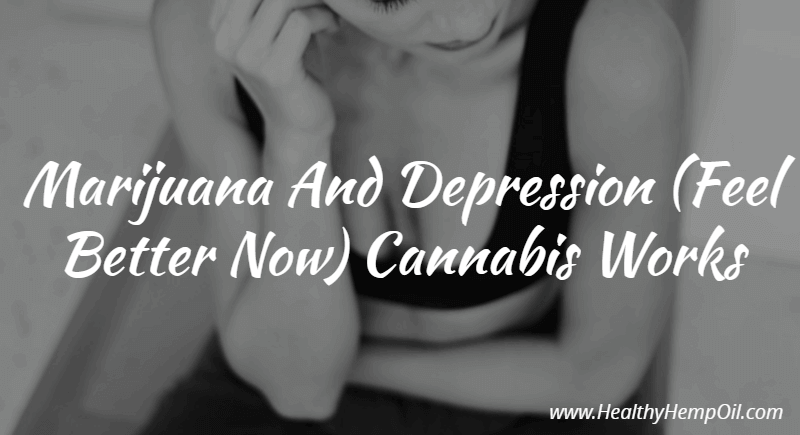 How is marijuana related to depression? This can be pretty complicated. Since it’s through the endocannabinoid system used by your body for the regulation of a multitude of functions, including dopamine release (which plays a critical role in mood). Can marijuana use cause depression? No. There have been correlative links found between marijuana use and depression, but no causation has been established. What is the best medical marijuana for depression? Various types of medical marijuana can treat different types of depression, depending on the cause and symptoms. Strains such as Cannatonic and Cinex can be great for depression. Does marijuana help with depression? Or does it make it worse? Both are possible, but reactions vary. The field of study that researches the links between marijuana and mental disorders is relatively new, and links have been identified both ways. Generally speaking, low doses of THC can have positive effects, while heavy doses of THC can put you at a higher risk of negative effects. Should smoking marijuana cause you to feel detached and depressed? It differs from person to person. Smoking marijuana never should make you feel anything in particular, but it can have a range of effects, depending on multiple factors such as the strain and amount of THC. Does sustained marijuana use cause anxiety and depression? Why? There have been no causal links found between cannabis use and depression or anxiety; however, some users report feeling anxious or panicked when under the influence of THC, and there have been correlative links established between heavy use of marijuana and depression. Can marijuana be considered an antidepressant? No. Although some research has shown that marijuana use can relieve symptoms of depression, marijuana is not officially classified as an antidepressant. Can you get a medical marijuana card for depression in Michigan? No. While medical marijuana is legal in the state of Michigan, you cannot obtain a medical marijuana card purely for the treatment of depression or anxiety. If, however, you also have symptoms like muscle spasms, chronic pain, insomnia, or nausea, you can qualify. Is CBD good for depression? CBD (cannabidiol) can affect different people differently, and while some may experience improvements after using CBD products, there are no guarantees. Does getting high help with depression? Maybe, sometimes. There is no direct answer to this question, as marijuana affects everyone differently.